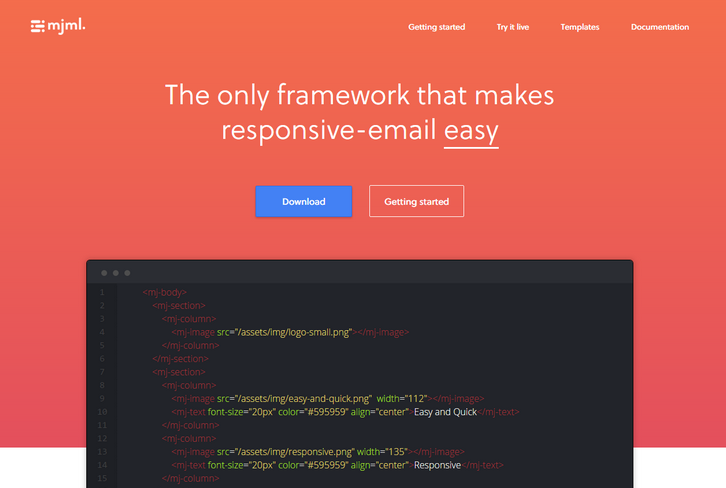 MJML is a markup language designed to reduce the pain of coding a responsive email. Its semantic syntax makes it easy and straightforward while its rich standard components library fastens your development time and lightens your email codebase. MJML’s open-source engine takes care of translating the MJML you wrote into responsive HTML.